Sister Leetta Hammack’s story of becoming a sister is similar to many, but a tragedy, a dream and God’s call made her story one of hope, excitement and internationality. Sister Leetta was born into a family of six children outside of St. Louis in Bonne Terre, Missouri. She had her first contact with the School Sisters of Notre Dame at St. Joseph High School in Farmington, Missouri, and was impressed by a young sister from Honduras who visited the school. The impression stayed with her, although she was not considering a religious vocation until a priest at a senior retreat planted the idea. Sister Leetta joined the School Sisters of Notre Dame in 1963 and after her initial formation, taught for two years in Linn, Missouri, then trained as an occupational therapist assisting the elderly sisters at Villa Gesu for 17 years. She moved to Tierra Del Sol in California and taught art classes before returning to St. Louis as community leader at Sancta Maria in Ripa. In 1991, her life changed. While driving home one day, Sister Leetta and a friend were in a severe car accident, resulting in the death of her friend and co-worker. 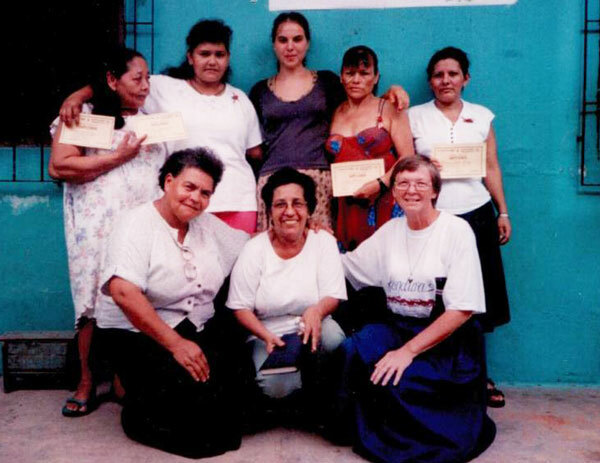 While in Honduras, together with some of the other sisters, she worked with women’s groups in areas of increasing self-esteem, furthering spiritual formation and developing skills needed for establishing small business. A big challenge came in 1998 with Hurricane Mitch. Honduras was hit hard, suffering flooding, landslides and high death tolls. Despite all of the destruction, Sister Leetta was amazed at how people came together during and after the crisis, not only within the local communities but also around the world. 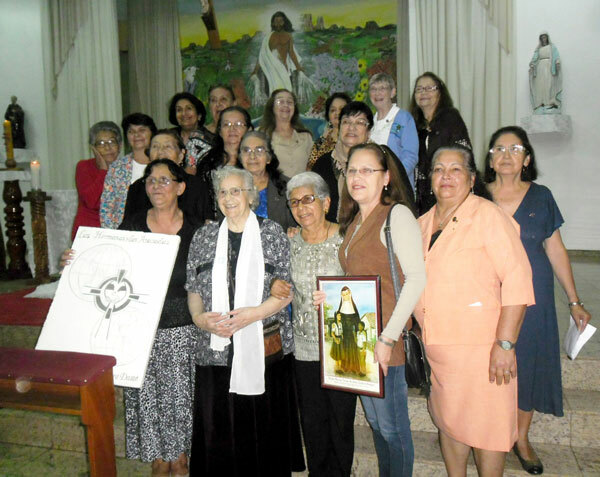 Through the School Sisters of Notre Dame, over $1 million were donated to help this small Central American country. Much of the help came from people who before had little or no connection with Honduras or SSND. The sisters used donations to help in the areas of housing, education and urgent needs. A housing project provided the opportunity for families to build or repair homes by helping with the work and paying into a rotating housing fund, which has continued. Funds were also allocated to help repair and refurnish schools. In 2006, after a few months of sabbatical in the United States, Sister Leetta visited Chile, Paraguay and Peru to reflect on her future ministry, and in August of that same year, she went to Paraguay. Once there, she coordinated a parish group responsible for assisting the sick and elderly, and ran a program called Tupãsy Róga for children from several poor neighborhoods. “During the week, we worked with 200-250 children, but for holidays and special occasions, about 800-900 children came,” she said. “The program focuses on education, nutrition and social development for children between the ages of two and 15.” Sister Leetta served as the administrator until her departure in 2015. A small but active group of SSND associates formed in 2007 to continue the work at Tupãsy Róga. The associates have also assumed the responsibility for Club de Verano, which is similar to a Bible camp or summer club. With the help of high school and college students, the Club offers an educative and fun vacation program for 6- to 13-year olds. Sister Leetta came back to the United States in 2015 because of a heart condition, but was able to return to Latin America in early 2017. 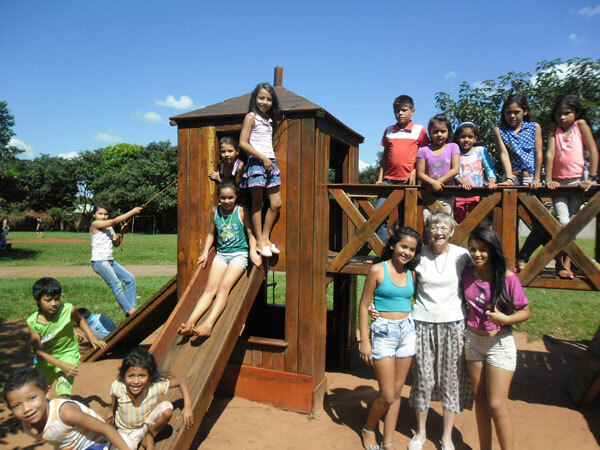 She lives in Asuncion, the capital of Paraguay, and works in a parish situated in a poor community near the river. Her ministry is in the local parish primarily visiting the sick. 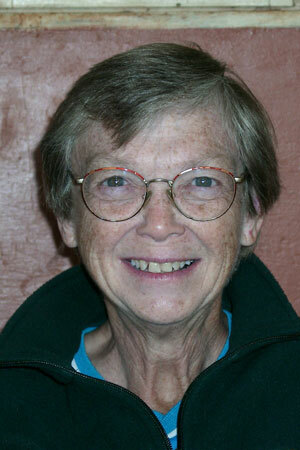 She also assists with liturgy and prayer groups within the community and even at the local prison. Although the call to Latin America has taken her away from her family in the United States, she feels that she is where God has called her and knows that her international experiences both in community and ministry have greatly enriched her life and service to others.